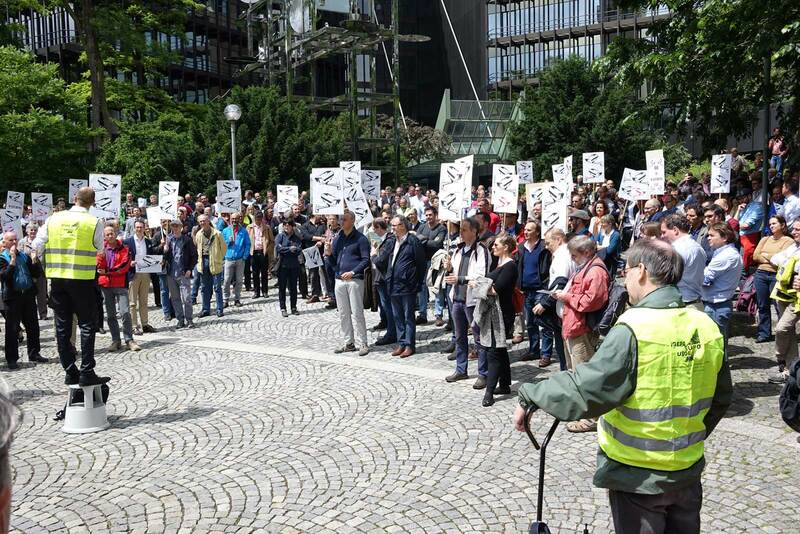 About two months after I expressed the opinion that potential union recognition by the European Patent Office (after some 40 years of existence) would be insufficient to solve the social conflict there, it turns out that things have not only failed to improve but actually deterioriated. And president "Blatterstelli"'s days may already be numbered because even the government of his own country appears ready to sack him anytime. 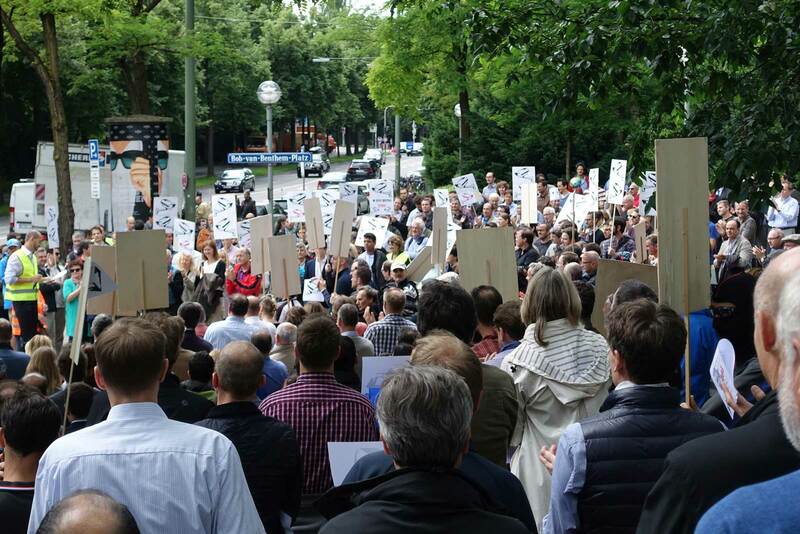 SUEPO's message to the EPO's leadership, particularly the self-serving Administrative Council (which bears the ultimate responsibility for the whole mess), is loud and clear: EPO employees want to see actions, not words. Improvement, not promises. And this has to start with at least a modicum of respect for fundamental human rights, no matter how hard that may be for the members of the Administrative Council, the president and the vice presidents of the EPO. "L'innovation c'est un impératif, un impératif économique. Et ce qui est vrai pour la technologie, l'est aussi pour l'innovation publique, les modes de gouvernance, l'innovation sociale. Et à ce titre, même si ce n'est pas l'objet de notre rencontre ce matin, le gouvernement français connaît les difficultés sociales qui s'expriment au sein de l'Office Européen des Brevets et à ce sujet, l'office a un devoir d'exemplarité, de transparence absolue dans le respect des droits des agents qui y travaillent." "Innovation is imperative, imperative for the economy. And what is true for technology is also true for public innovation, meaning governance structures and social innovation. And while we are on this subject, though this is a departure from the subject of this event here, the French government is aware of the social issues at the EPO and, in this regard, the EPO has a duty of being exemplary, a duty of absolute transparency with respect to the rights of the people who work there." It's really unusual in two regards. One, this speech was given at the European Inventor Award ceremony, an event at which the EPO wanted to celebrate itself. I consider that event a sad thing. In my opinion, a patent office that promotes in any way (by this I also mean the USPTO with its Steve Jobs patents exhibition) patents that are or could still be used in litigation miserably fails to be neutral and its leadership should be replaced. But for the EPO's leadership, that event is meant to be a day of joy and self-aggrandizement. The fact that a politician would touch on the delicate issue of the EPO labor conflict and human rights issues on such an occasion gives those remarks about ten times more weight than if they had been made in daily business. Two, Mr. Battistelli is French and the national governments of officials of international organizations are usually the last ones to withdraw their support. Samsung filed a petition yesterday for an en banc (full-court) rehearing concerning the design patents-related issues relating to the Federal Circuit's mid-May appellate opinion in the first Apple v. Samsung case. Apple did not file a petition concerning the part that was unfavorable to it (the one on trade dress), so Apple appears to accept that a third California trial in this first case (one also took place last year in the second California Apple v. Samsung case) will be necessary. If correctly interpreted and applied, design patents are relatively narrow intellectual property rights. However, juries really need help from judges to get this right. The ability of the average jury member to independently distinguish between functional and ornamental elements of a design is presumably not greater than that to figure out the inner workings of event handlers in operating systems or just-in-time optimization strategies of compilers. Technical patents are hard to understand without specialized knowledge, but just like most consumers don't care to learn about what makes their smartphones work, they also don't usually think about smartphone designs in terms of functional and non-functional, ornamental elements. As a result, they will often consider a design patent infringed because of functional rather than ornamental similarities, and they will consider a design patent valid just because the overall combination of technical and ornamental aspects appears to deserve protection, though an analysis focused on only the ornamental parts might lead to a different conclusion. What's even worse is that an overbroad interpretation of design patents can result in monopolies over abstract concepts such as general screen layout and user interface ideas. If an entire product constitutes an infringement of intellectual property rights, it's reasonable that damages exceed the infringer's profits. However, in the hypothetical scenario of a product that is highly multifunctional, does not infringe any valid technical patents, but is deemed to violate three design patents held by three different right holders, it would be irrational to let each of the three design patent holders collect the total profits made with that product. Apportionment alone does not guarantee reasonableness, but there can be no reasonableness in infringement damages without it. Considering that the panel decision was unanimous and that the panel included the appeals court's chief judge, I wouldn't hold my breath but I still think it would be the right thing for the Federal Circuit to give further thought to the points Samsung's lawyers have made in their petition for en banc rehearing. And if not, then I sincerely hope Samsung won't give up. Apart from injunctive relief over standard-essential patents, I haven't seen a "certworthier" matter in all the smartphone patent disputes I've been watching since 2010. Samsung's petition discusses the absence of guidance for the jury with respect to functional (thus irrelevant) aspects of Apple's design patents first, followed by damages. This does not say anything about its priorities. It's logical to discuss liability prior to remedies. The legal argument for a full-court review is mostly about conflicts with prior decisions (some of which were made by other circuit courts, going back to when there was no exclusive jurisdiction over patent law) and also about the exceptional importance of these issues. Samsung's lawyers note that "[i]n contrast to its detailed analysis of trade-dress functionality, the panel spent barely 3 pages rejecting Samsung's argument that the district court had improperly allowed the jury to base its design-patent infringement finding on the same or similar functional features." While I agree with Samsung (by now) that Judge Koh should not have instructed the jury to just compare those design patents, based on the overall appearance of the covered designs, with Samsung's products and should instead have clarified which ones are legally irrelevant because they are functional, I don't think the panel had to write more than three pages. Those three pages were sufficient for the judges to explain their reasoning. The number of pages also doesn't necessarily reflect the amount of thought that went into this part of the ruling. One can spend weeks thinking about a single word or write ten pages in a couple of hours. "[T]he judicial obligation to construe the scope of a design patent cannot be satisfied merely by reciting the term 'ornamental,' which already appears on the face of the patents themselves [...]. Nor can it be satisfied by telling the jury to look at the 'patent figures' unaided by guidance as to what is (or is not) ornamental about them, for the term 'ornamental' is not self-executing, and there can be no doubt that the figures of Apple's design patents contain functional elements, as the panel's trade-dress holding confirms." With respect to damages, the panel said that it had no alternative under statutory law but to affirm Judge Koh's decision to tell the jury that design patents entitle their holder to a total disgorgement of infringer's profits. 35 U.S.C. 289 says an infringer of a design patent is liable "to the extent of his total profit," but I still don't believe the Federal Circuit panel couldn't have found a way to decide in favor of reasonableness. "[T]he phrase 'to the extent of his total profits' is best read as a term of limitation that makes total infringer's profits a ceiling not a floor;"
"the phrase 'profit made from the infringement' shows that Section 289 permits only profits caused by the infringement"
"[T]he bill's sponsor, Representative Martin, disclaimed any intent to displace the bedrock causation principles underlying patent law, reassuring skeptics that the new act would not permit total-profits awards 'without any proof that this arises from the use of the design' or where 'those profits arise … from various other circumstances which may enter into the manufacture.' 18 Cong. Rec. 835 (1887) (Rep. Martin) (emphases added [by Samsung's lawyers])." "the term 'article of manufacture' is most naturally interpreted to mean the portion of a product as sold to which the patented design is applied, as otherwise a defendant could be held liable for all its profits multiple times over if its product infringed design patents held by multiple patentees." 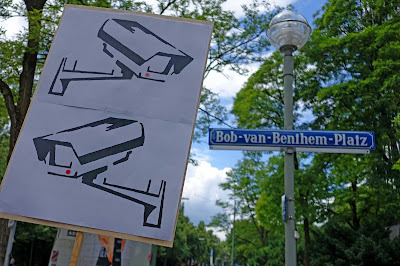 Given Germany's experience with totalitarian surveillance states before and (in the eastern part) after World War II, I wonder for how long Germany's chancellor and minister of justice, as well as the Bundestag (parliament), can tolerate an international organization on German soil that appears to stop at nothing in its human rights violations. The European Patent Office (EPO) abuses its "immunity" and one of the first reform measures should be to put each facility of the EPO under the jurisdiction of the respective country, at least with respect to human rights including data privacy. 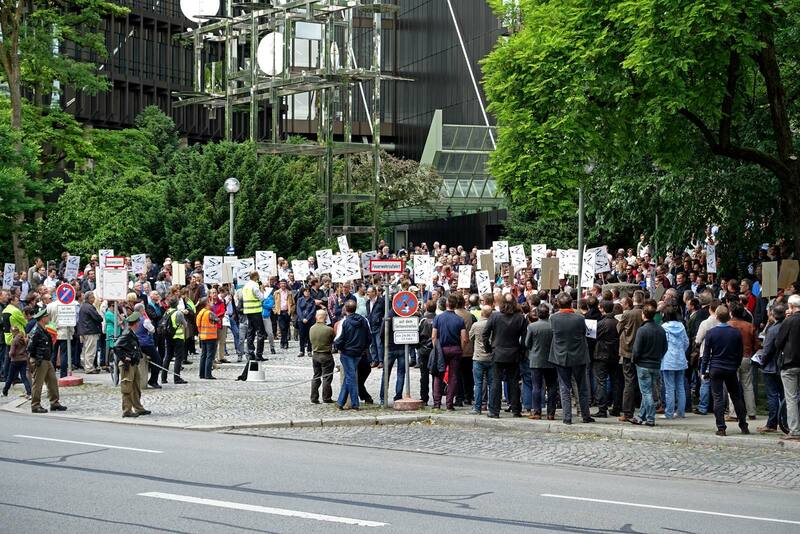 There is now conclusive evidence that the EPO has violated basic human rights not only of its staff but even of unsuspecting visitors of one of the EPO's Munich facilities. 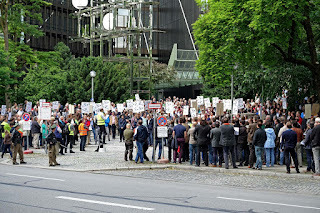 On Friday, the data protection officer of the state of Bavaria (whose capital is Munich, where the EPO is headquartered) was quoted by a newspaper (English translation here) with the suggestion "that an external data protection supervisor be assigned to the EPO because the internal inspectors are not independent enough and in the absence of any action matters are likely to get out of hand." It has become known that the EPO used keyloggers and hidden cameras in its internal investigations of what may actually just have been the exercise of one or more people's freedom of speech with respect to the EPO's Jack Warner, vice president Željko Topić. After Mr. Topić lost a court ruling in his country of origin (Croatia), can be accused of pretty bad stuff. The Bavarian data privacy commissioner was spot-on: while the EPO does have a "data protection officer," that person is just a dictator's minion with no say over anything important. "Given the seriousness of the allegations I consider the proposed measures as proportionate." Seriousness of the allegations? Are you kidding? This here is not about an assassination plot, or about gaming the patent system in the sense that someone would have leaked sensitive information to a patentee's competitors, or about bribery in connection with patent grants. Under such circumstances I would actually support the use of covert surveillance (I'm all for law and order and not really a privacy activist, to be honest). But the request that the "data protection officer" (who is more than 25 years late to serve as a Stasi official) authorized merely refers to freedom-of-speech issues: "a sustained campaign of defamatory and insulting communications against [the EPO's Jack Warner], other senior managers of the Office and possibly Administrative Council Delegates, in the form of normal post and electronic mail." I also have my doubts that the communications in question were "defamatory and insulting" in light of the aforementioned Croatian court ruling. 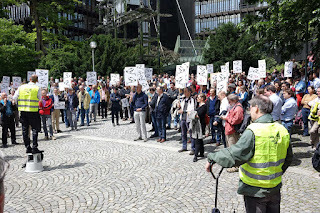 It's fairly possible that some people just said what one would be allowed to say anywhere except under a lawless regime backed by government officials who are far more interested in getting a well-paid job at the EPO than in supervising its management. The EPO's lawlessness knows no limits. It would have been unacceptable to use keyloggers and cameras for covert surveillance of people's workplaces, but as the approved request states, "[t]he workstations in question [...] are located in public or semi-public areas of one Office building in Munich."